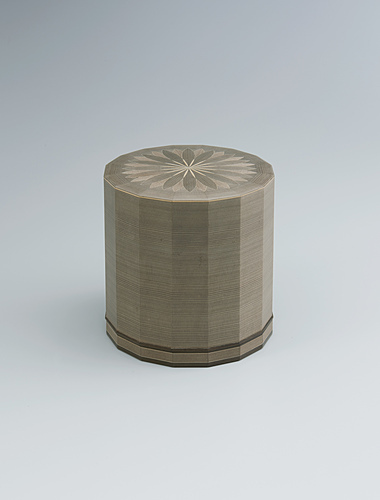 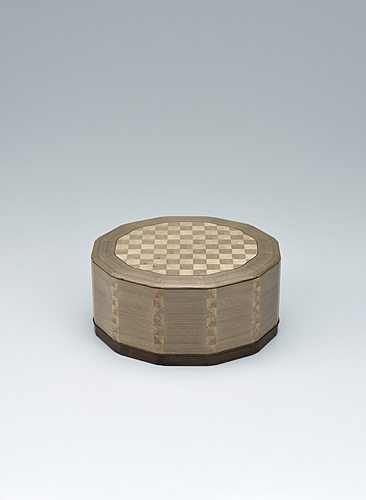 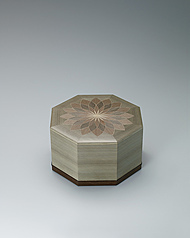 Octagonal box of jindai cedar wood with design of flower. 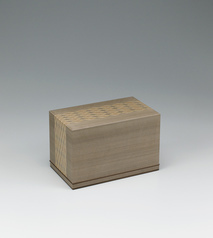 Box of jindai cedar wood with design of muntin pattern. 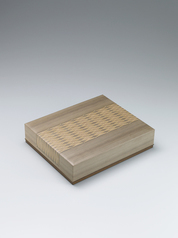 Box of jindai cedar wood for letters with design of “aboshi”.